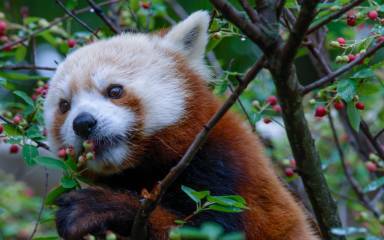 Treetop Adventures at Elmwood Park Zoo bring the thrill of ziplining to a truly unique location. 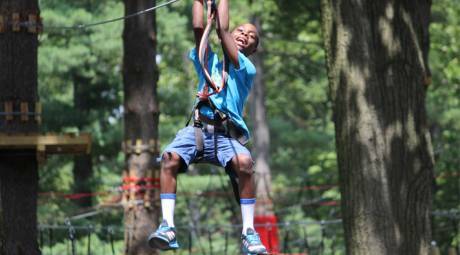 The adventure courses take you high above the exhibits for an adrenaline rush like no other. The Cub Climb is built for the zoo's little adventurers. Children 36" to 60" tall can take this easy-going course through 20 games and two zips. 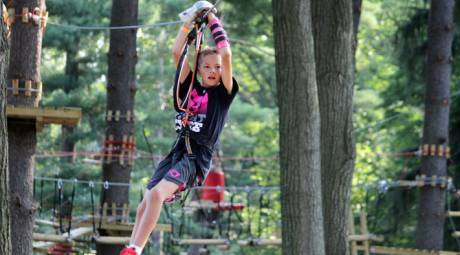 The Treetop Zoofari encompasses the full challenge of the adventure course. 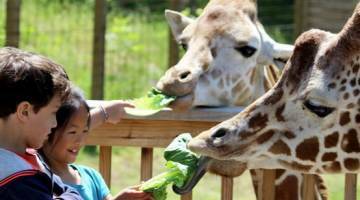 The Zoofari features 45 obstacles and nine zips, including two flights over the animal exhibits. Because of the challenging nature of the course, you must be at least 54" tall to attempt it. 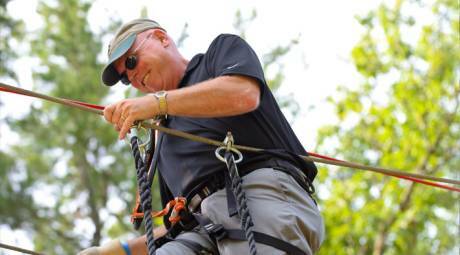 Treetop Adventures' newest course, Expedition Elk, features 7 games, 3 zip lines, and a free-fall plunge from a 28' tall platform. Guests pressed for time can tackle the Quick Zip course, which packs in 3 games and 3 zip lines in its short but no-less thrilling adventure. Brave souls can visit the Night Adventures, scheduled for select evenings throughout the summer and fall. 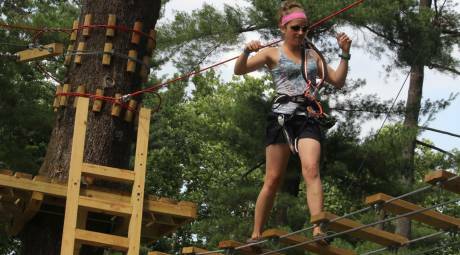 Attempt the Treetop Zoofari course in the dark with nothing but a head lamp to light your way! 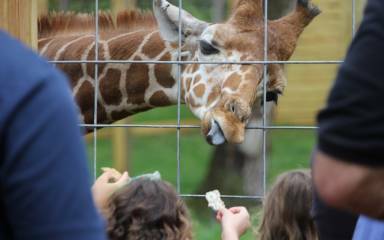 Our intrepid blogger took on the challenge of the Treetop Zoofari last year. Read his first-hand account of what it takes to make it through the challenging course.